MIMSYS Technologies offers the freedom of choice, seamless integration, high performance, and reliability solutions that forward-thinking companies rely on to increase profitability and gain competitive advantage in business. MIMSYS, Hospital Information System ERP (HIS) is framework for healthcare organizations to provide the best technical architecture, features, support and theability to adapt to continual changes. The HIS offered value-added tools and services that enabled hospitals to better function as an enterprise. We developed this solution backed bymany man-years of experience in building cutting-edge solutions for healthcare and otherindustries. The result was a product that has been successfully deployed across its markets, inparticular in the Middle East. A unique value proposition provided through the deployment of leading-edge technologies and applications that will enable and facilitate a superior services experience for Hospital Clients. Its tight integration across departments, comprehensive reports and a workflow from registration to billing provide a complete product. MIMSYS HRMS is a flexible, reliable, easy-to-use and yet comprehensive application which goes beyond the core payroll activity of administrating employees salaries in the organization. MIMSYS HR and Payroll transforms administrative tasks to enable a more streamlined workflow. MIMSYS Asset Management is an end to end solution built on Sage 300 ERP SDK that helps you setup and manage all the assets in an organization and facilitates you in the processing of accounting transactions such as acquisition, depreciation, adjustment, and disposal. Periodic transactions such as capitalization and impairment help Asset Managers to maintain current asset value. MIMSYS Facility and Asset Maintenance module can be used to manage the maintenance activity for equipments and components. Maintenance and Asset Managers can quickly discover actionable insights to improve asset and maintenance practices by specifying maintenance budget on SLA and maintenance orders, track and manage asset availability and performance along with asset breakdown analysis to ensure work tasks are managed more efficiently. MIMSYS focuses on innovation in healthcare by changing the way providers at the point of care access information. MIMSYS Clinical LIMS is CAP compliant (College of American Pathologists) and is a configurable application expanding user capabilities for searches/reviews of orders and results. Take charge of your inventory to reduce carrying costs and fulfill orders on-time. Get full control over your warehouse inventory, track stock accurately, and improve customer satisfaction with real-time inventory management software for distributors. Receive accurate information on your merchandise. Motivated, focused, empowered, productive, and efficient people move your company toward success.That’s common knowledge. The difficult part is finding the right balance between allowing your people to work the way they want and capturing the key financial data you need to remain compliant with government regulations and auditing controls. Success comes from enabling your workforce to make better decisions and execute appropriate actions in response to ever-changing business needs. Simply put, an empowered staff will help bring success. Sage 300 ERP allows even novice users, with the proper level of secure access, to create personalized, ad-hoc query lists in just a few minutes without the knowledge. 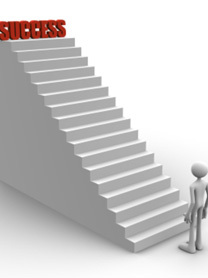 Growth and success not only depend on providing everyone across your business with the right information at the right time—everyone also requires ready access to the systems and tools they need to work at peak performance. 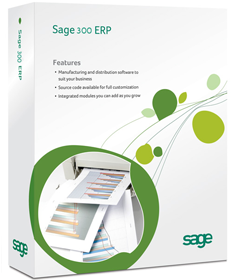 With Sage 300 ERP, you can improve productivity by connecting processes from each part of your business.